Thank you for your interest in working with the G4 Alliance. Our team is comprised of dynamic advocates who bring expertise, passion, and dedication to support our shared mission. If you think you'd be a good fit for the G4 Alliance team, consider the job postings and internships below. The G4 Alliance team is always looking for motivated interns who would like to join our team. Interns typically join us for 3-6 months and work in a range of disciplines including communications, fundraising and development, member relations, research, advocacy and graphic design. While we will periodically post specific internship opportunities here, we will also consider applications on a case-by-case basis. If you'd like to learn more about internships, please consider sending us an email along with your resume to contact@theg4alliance.org. Our staff and intern team in Geneva for the 2017 World Health Assembly! 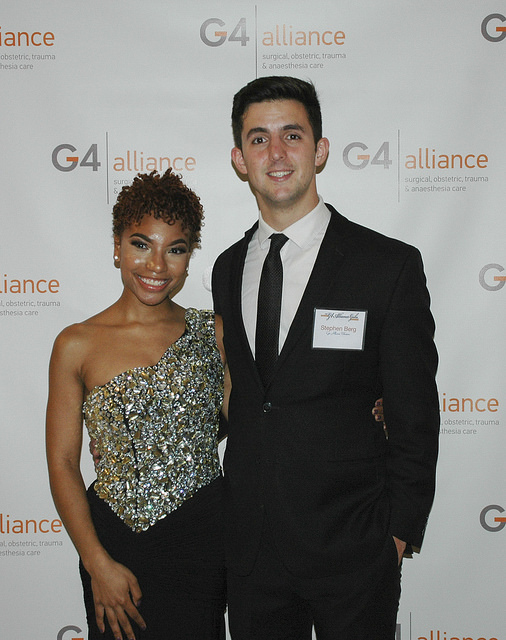 G4 interns at the First Annual G4 Alliance "Night of Illumination" Gala!